Public access to trust lands varies widely from state to state. How much is hunting and fishing access to 3.4 million acres of land in Utah worth? Last year, the answer was $776,000. That was the amount the Utah Department of Natural Resources paid another state agency, the School and Institutional Trust Lands Administration (SITLA), to secure public access to state trust lands, granted to Western states by the federal government to generate money for schools and other public institutions. This fall, however, the deal between the Natural Resources Department and SITLA expired. In negotiating its renewal, SITLA wanted to raise its fee to market rates, estimated at $1.8 to $3.9 million a year for the 1 million acres that have commercial hunting value. If the department didn’t pay up, SITLA seemed ready to lease exclusive access to beloved places like the Book Cliffs — a vast wilderness of rugged bluffs and forested valleys teeming with elk, mule deer and cutthroat trout — to wealthy hunters. Access to prime areas would be scooped up mainly by customers willing to pay thousands of dollars for a single hunt, with only a handful of permits issued through a public lottery. Kim Christy, SITLA’s deputy director, argued that the agency was merely fulfilling its obligation under the state Constitution to optimize revenue. But many sportsmen saw it differently. Bill Christensen of the Rocky Mountain Elk Foundation says access to state lands shouldn’t be reserved for the highest bidders. And SITLA’s demands underscored his fears about what could happen should federal lands be transferred to state control: privatization and loss of access. “I have been very concerned about how greedy SITLA has been in recent years,” Christensen says. Bison roam Winter Ridge, which includes a large parcel of SITLA land in the Book Cliffs, about 60 miles south of Vernal, Utah. State trust lands are owned by public entities, but they aren’t “public” the way federal lands are. Most states don’t have to manage them for multiple uses, so there’s no guarantee of public access for hunting, hiking and camping. Instead, these lands are managed to make money, traditionally by leasing them for grazing, mining, timber or energy development. Sometimes the land is sold outright. Public access to trust lands varies widely from state to state. Idaho and Wyoming allow free access, while New Mexico and Colorado have interagency payment schemes similar to Utah’s. Still, access is provided primarily at the discretion of state agencies, leaving the public with little say in whether certain parcels are put up for sale, threatened with development or closed to the public. Colorado’s interagency agreement, for instance, only allows public access to about 20 percent of state trust lands. Another 8 percent is leased for private recreation, mostly to individuals or outfitters for hunting or fishing. “They go out to the highest bidder,” says Tim Brass, director for state policies for Backcountry Hunters and Anglers. Utah’s interagency agreements have so far prevented the state from privatizing hunting access. The money the Department of Natural Resources pays SITLA ensures access to any trust lands that are “unencumbered” by potentially dangerous activities, like an active mine or oil well. As on federal lands, energy development can also threaten the integrity of wild places and cause conflict, even when access isn’t lost. In 2013, for instance, SITLA leased almost 100,000 acres in the Book Cliffs to Anadarko for oil and gas development. 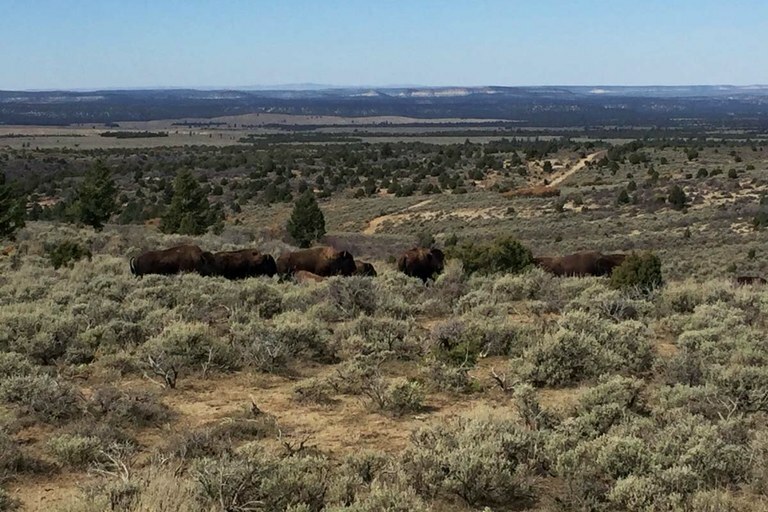 Following outcry from powerful politicians and hunters, who value the vast, game-rich roadless area, the company agreed not to drill the most ecologically sensitive portion of the leased area for a few years. That meant that the public could still hunt there — at least as long as SITLA got its fees to preserve public access. In October, the two agencies settled on a new agreement: The Natural Resources Department will pay SITLA nearly $800,000 this year, with the fee increasing annually to almost $1.3 million in 2031 to account for inflation. Utah’s Legislature will contribute another $1 million in taxpayer money each year. The department’s money comes from federal taxes on bows, guns and ammunition, which are passed on to states to manage wildlife and restore habitat. This year’s SITLA fee amounts to 5 to 6 percent of this revenue, a relatively small chunk. But if the fee skyrockets, “it will mean less wildlife habitat projects will happen, and fewer acres will be improved, enhanced or conserved,” Christensen says.